Use these tips to avoid cracking and peeling when you paint over oil-based paint. Q: I’d like to repaint my kitchen cabinets, which had been done with oil-based paint. Must I use oil-based paint for the project, or can I use up some water-based paint I have left over from another job? A: You’re correct to assume that it’s generally best to use more oil-based paint—in either an alkyd (made with a synthetic resin binder) or natural oil (such as linseed) formula—to refresh surfaces already coated with oil-based paint. Using water-based or acrylic paint when painting over oil-based paint is likely to cause peeling or chipping because those formulas don’t bond well with the naturally glossy surface of oil-based paint. 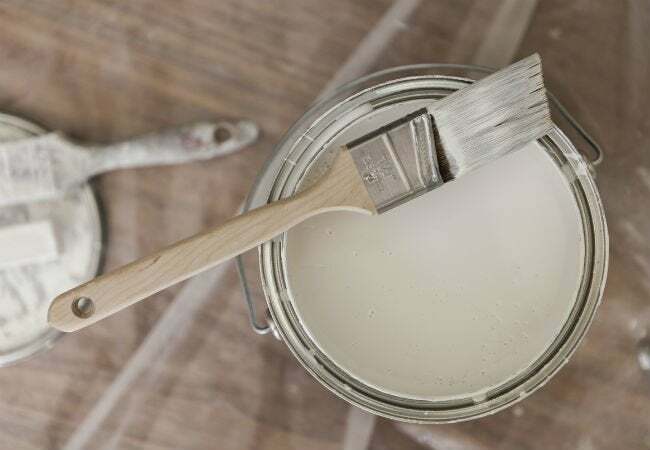 Yet it’s easy to understand why you’d want to go with water-based paint—it boasts lower volatile organic compound content (and less smelly fumes), faster drying time, and better resistance to discoloration from sunlight. Fortunately, with the proper approach, you can successfully use water-based paint over oil-based paint. 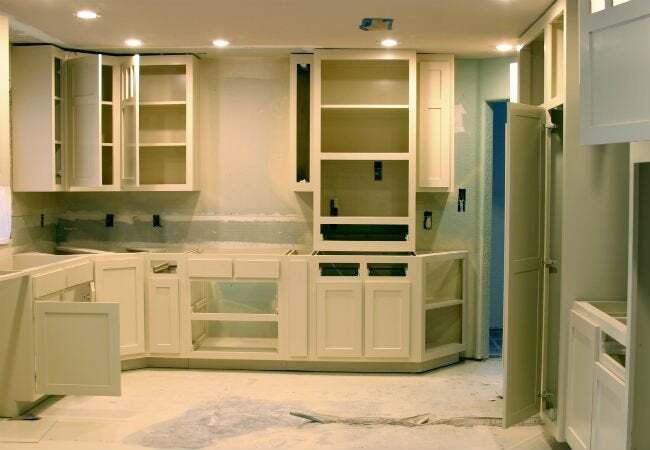 Ahead, you’ll find pointers for using whatever paint products you like over oil-based paint. Paint cured oil-based paint with either type of oil-based paint. If oil-based paint (either an alkyd or natural oil formula) has fully cured, it can be repainted with either alkyd- or natural oil-based paint. Oil-based paint is considered fully cured when it has hardened to the point that it can be scrubbed or washed without affecting the finish, which can take seven to 30 days. But avoid painting alkyd over uncured natural oil-based paint coats. If dealing with natural oil-based paint that hasn’t yet cured, only repaint with natural oil-based paint. If you were to apply alkyd paint, the natural oil-based coat below would continue to harden after the alkyd coat has cured, causing the top coat to crack. Alkyd paint that hasn’t yet cured, on the other hand, can safely be painted with either alkyd or natural oil-based paint without fear of cracking the top coat. De-gloss prior to putting water-based paint over oil-based paint. Because water-based paint doesn’t bond well with the glossy surface of oil-based paint, remove as much gloss from the surface as possible before repainting. Make a pass over the entire surface with fine-grit sandpaper (180- to 220-grit). You’re not seeking to remove all the paint, just sanding the surface until it’s level and no longer slick. Then wipe the surface down with a tack cloth to pick up any sanding dust. Deep clean with TSP before using water-based over oil-based paint. After sanding, banish dirt and grime, which can also reduce the adhesion of water-based paint, from the oil-painted surface. Donning gloves and safety glasses for splatter protection, dilute a quarter-cup of trisodium phosphate (TSP) in one gallon of warm water in a large bucket. Saturate a soft sponge in the TSP solution, lightly wring it out, and wipe down the sanded surface to pick up dirt, debris, and grime. Make a second pass over the cleaned surface with a sponge dampened in fresh water, then let the surface air-dry. Always prime when using water-based over oil-based paint. To prevent peeling and chipping in the drying and curing phase, use bonding primer—formulated to stick to glossy and other hard-to-paint surfaces—over the old oil-based coat for optimal paint adherence. Apply one to two coats of an oil-or water-based bonding primer and dry according to product directions. You’ll know the surface is adequately primed when the former paint color, stains, and other surface imperfections are no longer visible. Apply at least two coats of water-based paint over oil-based paint. 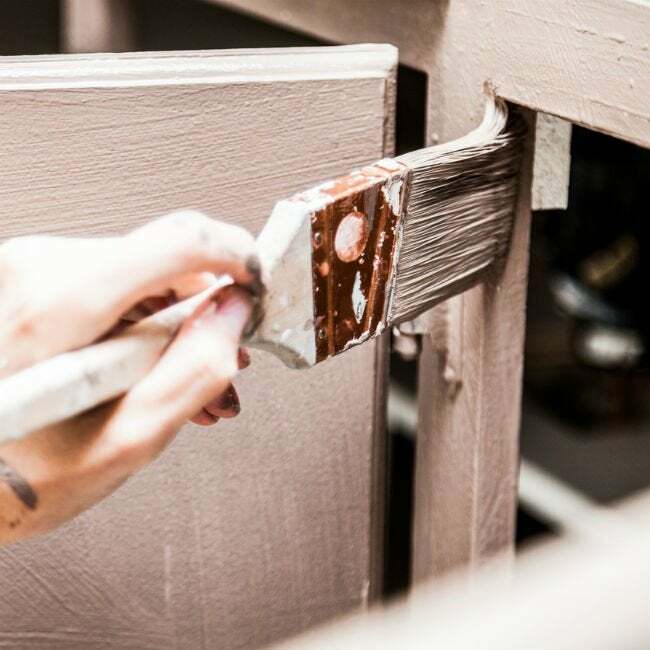 Using a brush, roller, or paint sprayer, apply at least two coats of a high-quality water-based latex or acrylic paint (e.g., Glidden Premium, available at The Home Depot) over the primed surface, allowing ample drying according to the product directions between coats. 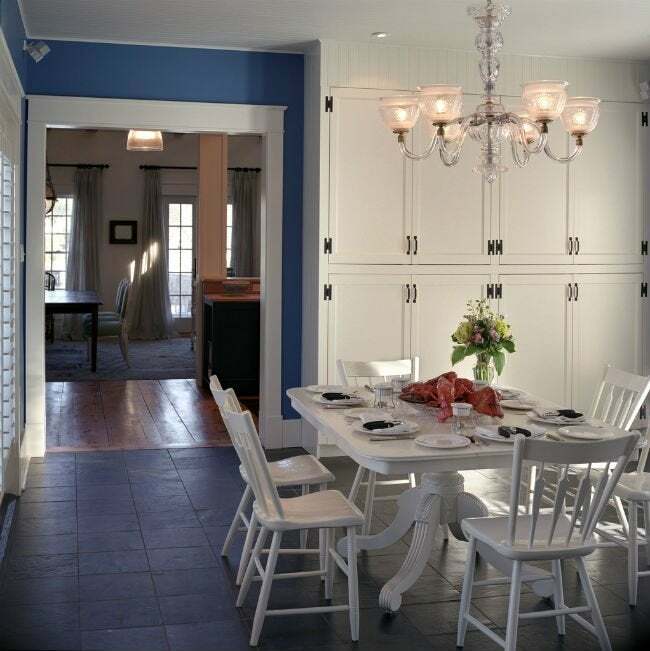 If painting interior features (e.g., kitchen cabinets), choose a paint labeled for “interior” use. Paints labeled “interior/exterior” hold up better to rot and extreme weather, so are desirable for painting exterior features (e.g., the front door). If you’re painting molding or other trim, choose a complementary color and a semi-gloss sheen to accentuate the details on the trim.